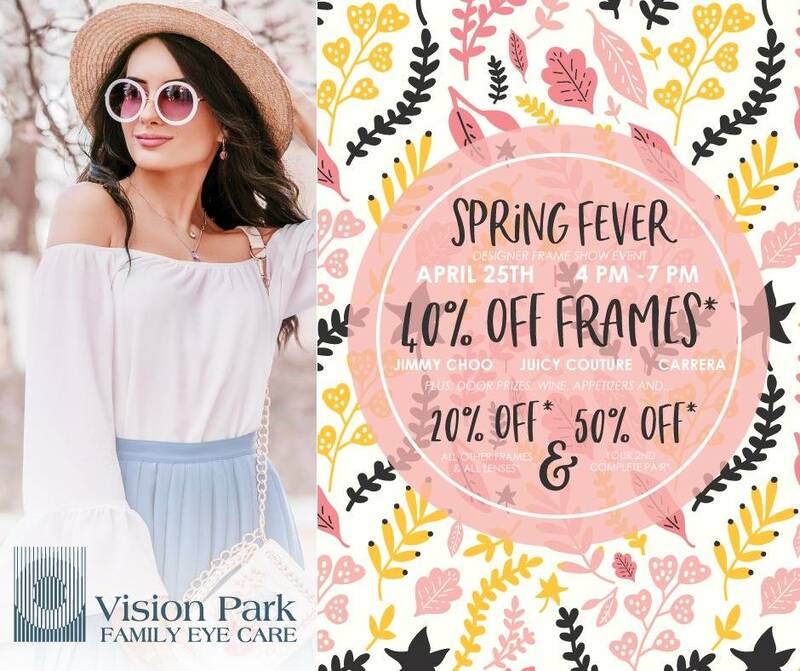 At Vision Park, we realize that good eye care requires regular check-ups and preventative measures, as well as corrective treatment when necessary. Vision Park offers comprehensive eye examinations to check basic visual skills, confirm good eye health or detect problems. There are numerous diseases of the body that can be detected during an eye examination even if a patient has no visual or systemic symptoms. A thorough eye examination screens for problems such as farsightedness, nearsightedness, astigmatism, glaucoma or even symptoms of hypertension, high cholesterol, diabetes and certain nervous system disorders. Once the eye examination is completed, we can prescribe treatment if needed, which may involve glasses or contact lenses, vision therapy, low vision aids or medical treatment. To ensure good vision well into the future, we also advise patients on preventative measures relating to occupational computer glasses, safety eyewear, sun and radiation protection and supplements to improve eye health. A scanning laser is used to analyze the layers of the retina and optic nerve for any signs of eye disease, similar to a CT scan of the eye. It works using light without radiation, and is essential for early diagnosis of retinal and optic nerve disease. A visual field test measures the range of your peripheral or “side” vision to assess whether you have any blind spots (scotomas), peripheral vision loss or visual field abnormalities. It is a straightforward and painless test but does involve the patient’s ability to understand and follow instructions. An initial visual field screening can be carried out by our staff by asking you to keep your gaze fixed on a central object, covering one eye and having you describe what you see at the periphery of your field of view. For a more comprehensive assessment, special equipment might be used to test your visual field. In one such test, you place your chin on a chin rest and look ahead. Lights are flashed on, and you have to press a button whenever you see the light. The lights are bright or dim at different stages of the test. Some of the flashes are purely to check if you are concentrating. Each eye is tested separately and the entire test takes 15-30 minutes. This instrument can create a computerized map of your visual field to identify if and where you have any deficiencies. 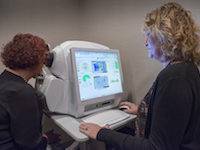 The optomap® Retinal Exam is fast, easy, and comfortable for all ages. To have the exam, you simply look into the instrument one eye at a time and you will see a comfortable flash of light to let you know the image of your retina has been taken. 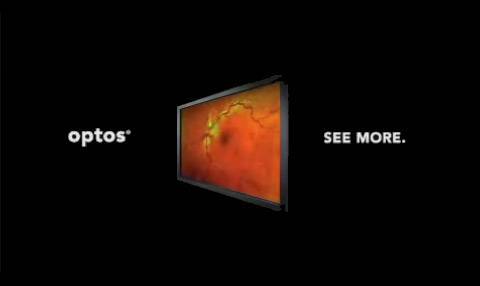 The optomap® image is shown immediately on a computer screen so your doctor can review it with you. The Macular Pigment Optical density (MPOD) is a screening instrument which measures pigment levels in the macula of the retina to rule out risks for macular degeneration. In addition to general practice, Vision Park offers specialized services such as vision therapy, low-vision evaluations, eye disease treatment, hard to fit contact lenses, LASIK consultation, and dry eye treatment. Emergency service is available after hours. Your vision, just like the strength in your arms and the speed in your legs, plays an important part in how well you play your game. Many visual skills affect the ability to read, process and understand information.